The Detainee is an edge of your seat dystopia novel for adults. It's a little odd to read a dystopian novel that doesn't have a young teenage protagonist running for her life while remaining beautiful and having an equally beautiful love interest. I, for one, like the changes Peter Liney has brought to the popular YA genre. All of the main characters are over 30 years old and the 'Big Guy' or Clancy is twice that age. To Liney's credit, he has a diverse cast of characters. And while there's still some running involved, it ain’t pretty, it's real. Liney does a great job of bring some reality to the genre that sucked me into the story. The world Liney's created isn't too hard to imagine as a near future event. The island is a fascinating location for the story and Liney uses it to great effect. He does a wonderful job of describing the fog that is both a curse and a blessing at times. There were several times in the story I felt like I was running behind Clancy and tripping over loose bricks trying to outrun the fog and the danger it brought. The Detainee has all four narrative conflicts running through the story, Man vs Society, Man vs Man, Man vs Nature, and Man vs Self. As with any dystopian story, there's an all-powerful big brother watching them through the satellites and dealing out their own brand of justice as they see fit. However, they aren't the focus of the story, so there is no true closure. I'm sure they will be playing a bigger role in the other two books. The antagonist remains off camera for the majority of the story, and is only mentioned by characters with dread. This was effective in building up a mystique for the character, but it also makes it hard to live up to once he arrives. Now for his henchmen, they do a wonderful job of bringing horror and fear to the island. I don't want to say too much as it will lose its impact, but I found it sufficiently creepy. In the end though, I found the struggle Clancy has with himself and the island to be the most rewarding of conflicts. Liney did a wonderful job of getting me inside Clancy's head by using first person narrative. Some people might think a 63 year-old protagonist is too old. My father is the same age, and I have no trouble imagining him playing the role of Clancy, so it didn't throw me out of the story or make it hard to find a connection to Clancy. There are a few tiny problems with story, but with any speculative fiction you have to allow yourself to let go and enjoy the ride, which I recommend you do. The only other problem I had was that the ending seemed to be a little too abrupt. I would have liked maybe two more pages to settle me down and hook me for book two. 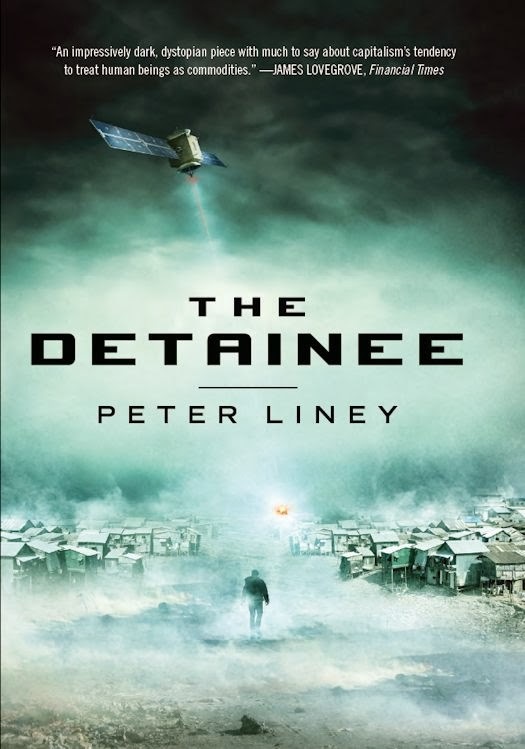 The Detainee is an engaging dystopian novel for adults. There are acts of violence, language, and sexual situations so I would only recommend the book to adults. It's perfect for anyone who loves dystopian fiction and refreshingly realistic characters.